Scoreboard Pressure’s first rugby league scoreboard is courtesy of Victor Fisher, an arts student whose sporting interests are more of the roundball variety (and especially English club Ipswich Town). 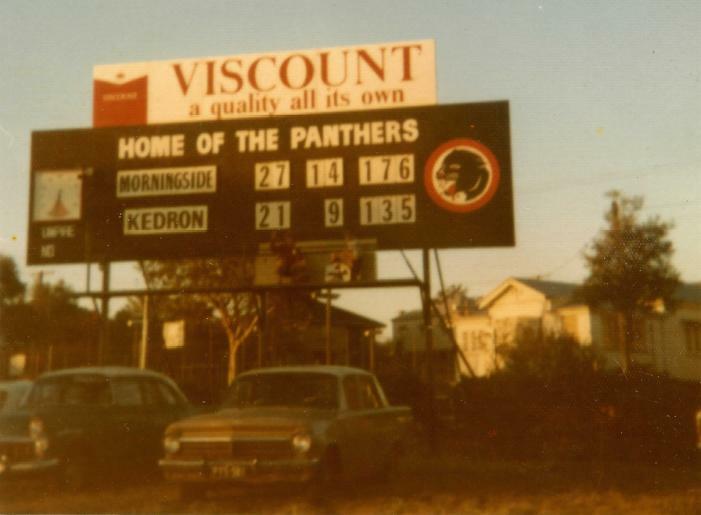 The sun sets on a victory for Morningside at Hawthorne Park, quite some years ago. Greg Parker, of qldfooty.com, took the photo. Maybe he had his eyes on the cars as well as the Panthers’ score. Next year Morningside will be part of the Foxtel Cup, competing in a knock-out comp against 15 teams from across Australia, such as Mt Gravatt, NT Thunder, Sydney Hills Eagles, West Perth, South Adelaide and the inaugural 2011 Foxtel Cup winners, Williamstown. 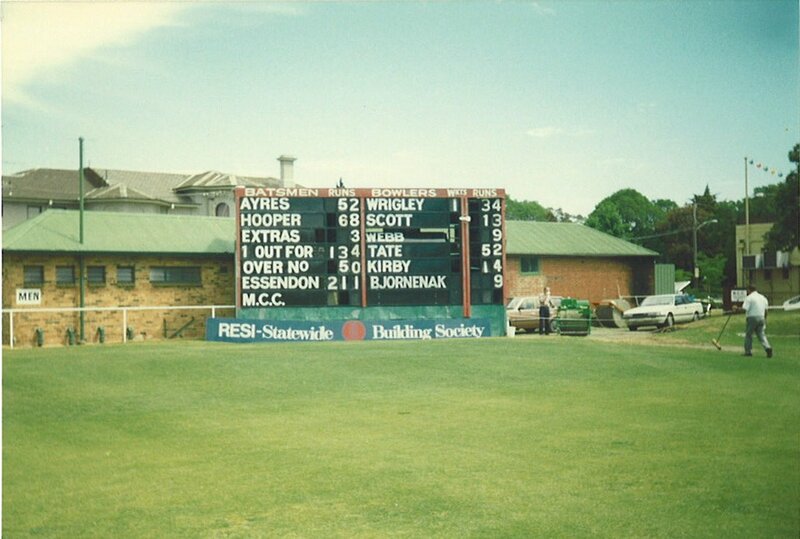 Melbourne Cricket Club making good progress towards overtaking Essendon on the first innings at the Albert Ground. Maybe the end of the tea break, judging by the number of overs bowled and the curator walking by with a broom. He’s just swept the pitch, at a guess. 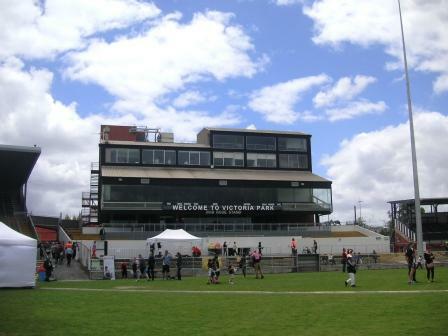 All sports grounds are oases and the Albert Ground is especially so, sandwiched between St Kilda Road, Queens Road and numerous apartment blocks. Scoreboard Pressure hopes to pay a visit over summer and put together a feature story. Electronic scoreboards can be garish and intrusive, but credit where credit is due. 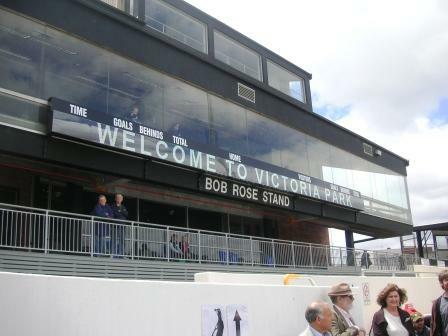 The new scoreboard at Victoria Park adorns but doesn’t dominate the Bob Rose Stand. 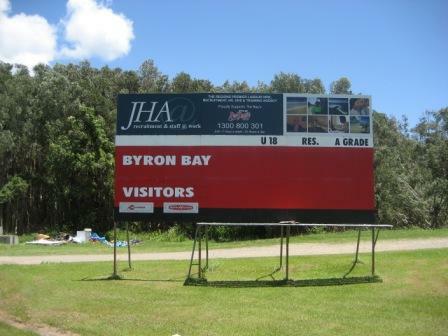 The scoreboard was officially unveiled on 4 December at a community celebration day marking the completion of the famous ground’s $7.2million makeover.